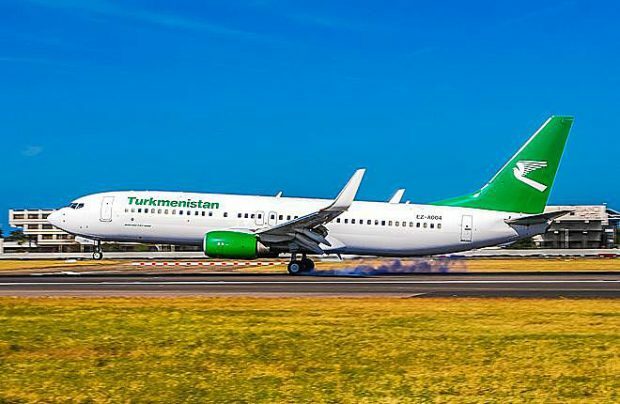 The European Aviation Safety Agency (EASA) has imposed a ban on all flights of Turkmenistan’s only carrier, the state-owned Turkmenistan Airlines, “pending restoring of compliance with specific international aviation safety standards,” says a statement which does not provide any further details on what triggered the action. Turkmenistan’s national carrier operates a fleet of 20 Boeing 737/757/777 aircraft and has plans to add the newest Boeing 737MAX-7s. In the most recently updated version of the European ‘black list’ of airlines, which was published on November 28 and includes 13 Kyrgyz carriers, Turkmenistan Airlines was not included.